Black Haw has helped me a lot! 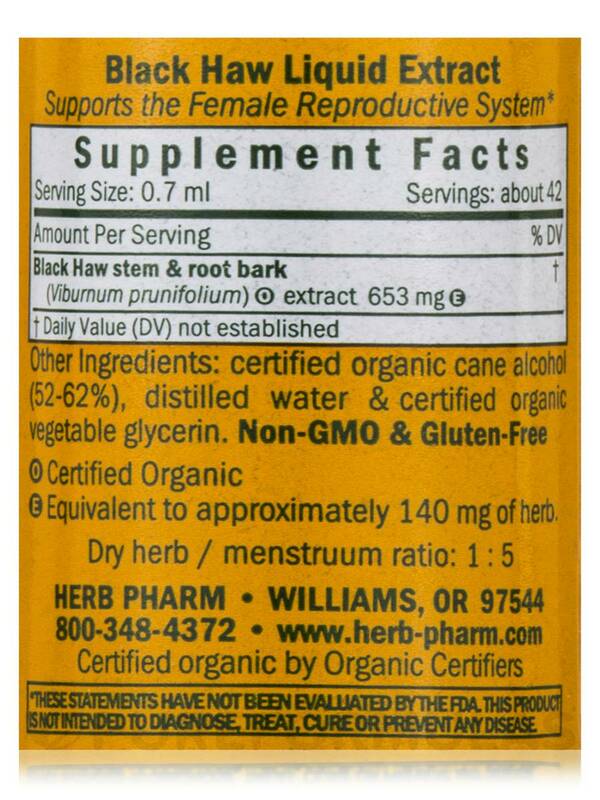 Herb Pharm’s Black Haw Extract is a liquid herbal supplement that may work to support the functioning of the female reproductive tract in women of all ages. Notably‚ black haw—which is also known as viburnum prunifolium—may work to alleviate certain symptoms associated with mild menstrual cramps; this is because it provides a compound called scopoletin‚ which may have a gentle relaxing effect on the smooth muscles of the uterus. In addition‚ this herb could potentially increase urine production by serving as a gentle diuretic; as a result‚ it may help address some signs of bloating or fluid retention. Finally‚ black haw extract may work to relieve certain menopause-related symptoms because it contains phytosterols that might promote hormonal balance. 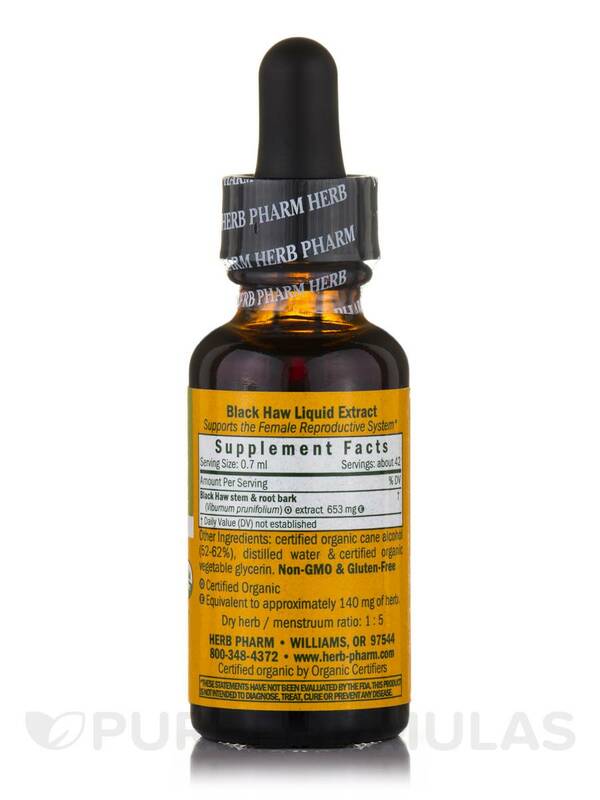 Each bottle of Black Haw Extract by Herb Pharm contains one fluid ounce of solution. 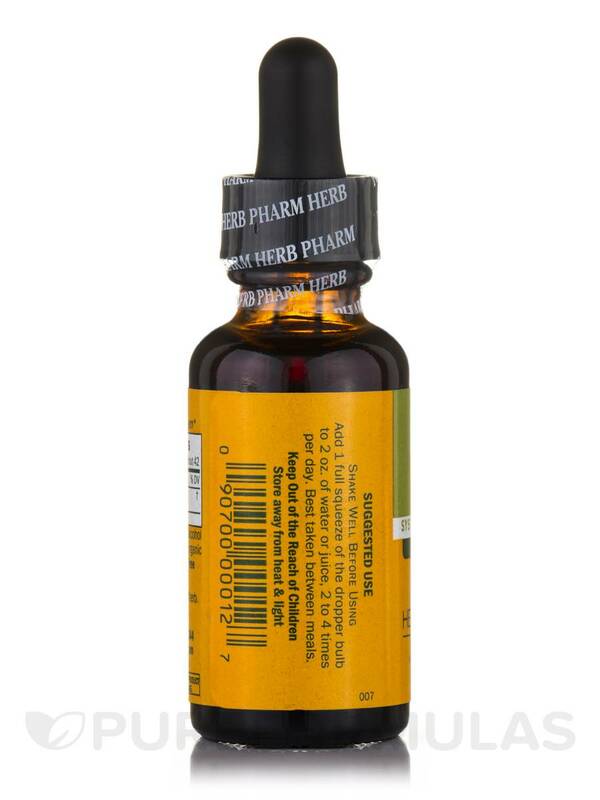 This supplement is prepared with the stem and root bark of organically grown viburnum prunifolium plants. 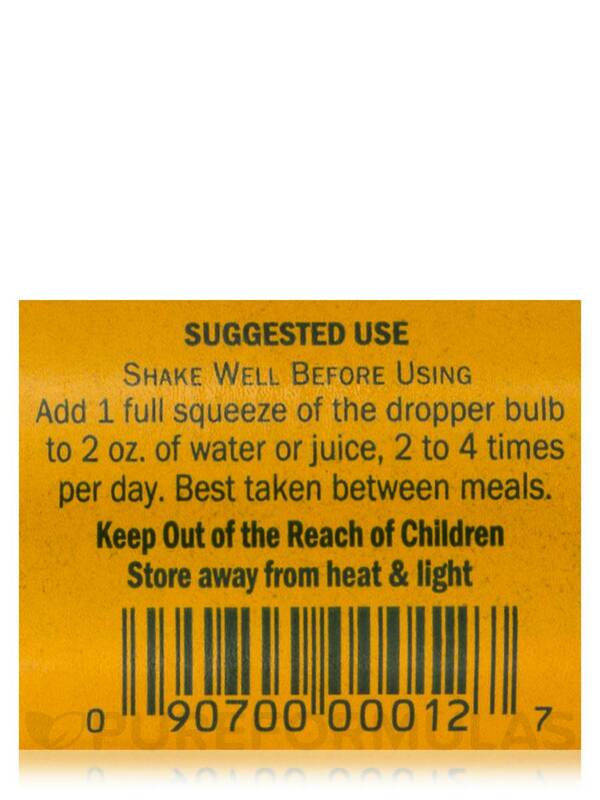 Other Ingredients: Certified organic cane alcohol (52-62%)‚ distilled water and certified organic vegetable glycerin.